This Week in Laundry I pay homage to the tiki. I’ve escaped Dallas for a brief reprise. A week in my childhood home. A week visiting family. A week exploring my favorite Milwaukee spaces, old and new. While some of those places revisit the favorites once visited last May – invoking that sense of newstalgia anew as it did then – some of those spaces are new. Foundation. 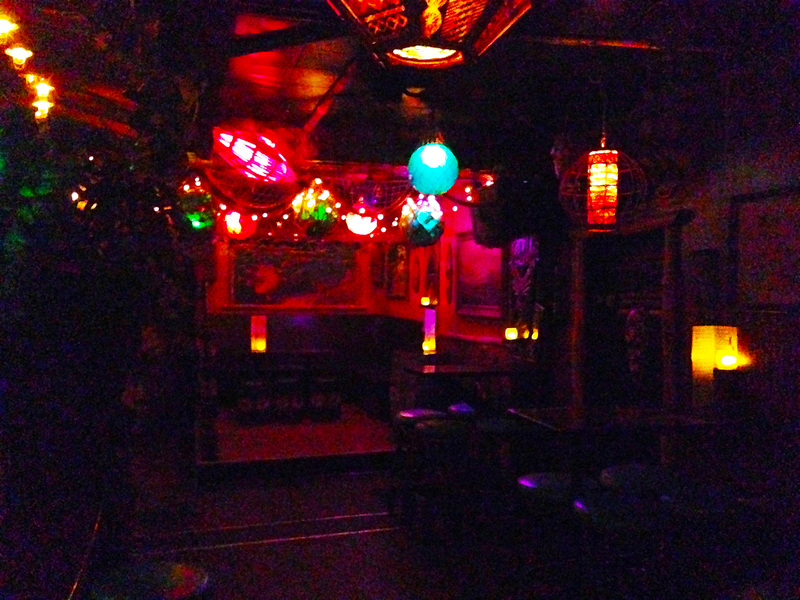 Milwaukee’s tikibar in Riverwest, falls to the latter. 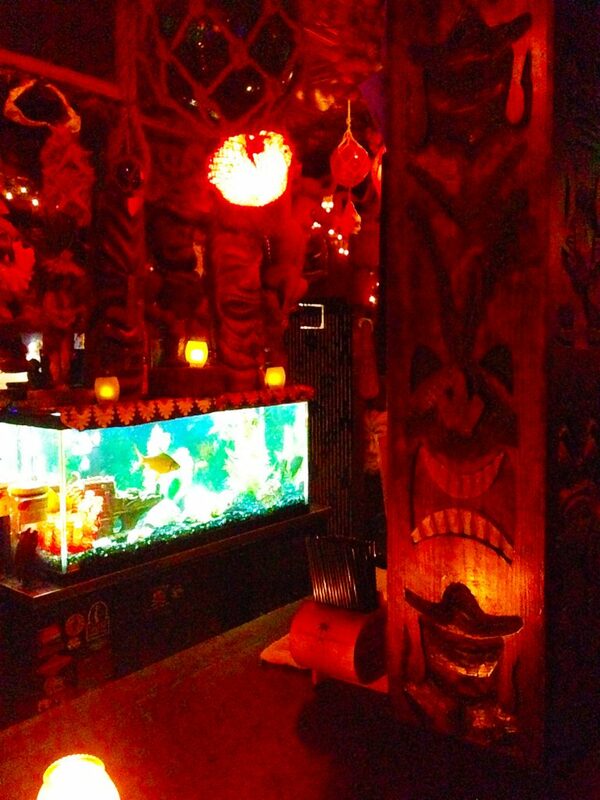 I, like many theme park designers, developers, and enthusiasts, enjoy a good tikibar. Few local destinations celebrate theming – the creation of story through the intent cultivation of space – to the same extent as the theme park. The tikibar is one of those few places. It remains one of the most ubiquitous local destinations. Far more accessible than the theme park far away. Tiki fun takes a general cultural aesthetic of the Polynesians and re-appropriates it in a playful exploration. The subculture format carries an interpretation of cultural expression in both decor and drink. Environments feature low and colored lighting. Wooden facades and carvings evoking a sense, or a romanticization, of the Polynesian. Drinks heavily feature rum. And bear fruit. For this remains the cultural berth from which the Mai-Tai came ashore. The tikibar finds roots in the mid 1930s in California. First in LA with Don the Beachcomber. Then in Oakland with Trader Vic’s. Trader Vic’s expanded to a national chain, coinciding with the rise and peak of a fad in the 1950s. Though the fad did wane, the subculture remains alive. You can find tikibars in different forms throughout the US, and the world at large. I came across my first Trader Vic’s in Hamburg, Germany, of all places. During a business trip to the Airbus factory. At the time, I didn’t realize the magnitude of this American brand, riffing on Polynesian culture, installed in the basement of a German skyscraper, in a city once nearly bombed to the ground. It wasn’t until I found my way to the theme park world that I also started to find my way into tikibars. That’s in part to the fandom – many who build the parks are fans of the parks. Fans of immersive story spaces. And consequently, fans of tikibars. That’s also in part to the gateway bar from the theme park world into the tiki subculture. Disney’s version of a tikibar. Called Trader Sam’s. The original sits between the Disneyland Hotel towers. Walt Disney World also carries its version in the Polynesian resort. Disneyland hosts Trader Sam as a character within the classic Jungle Cruise attraction. 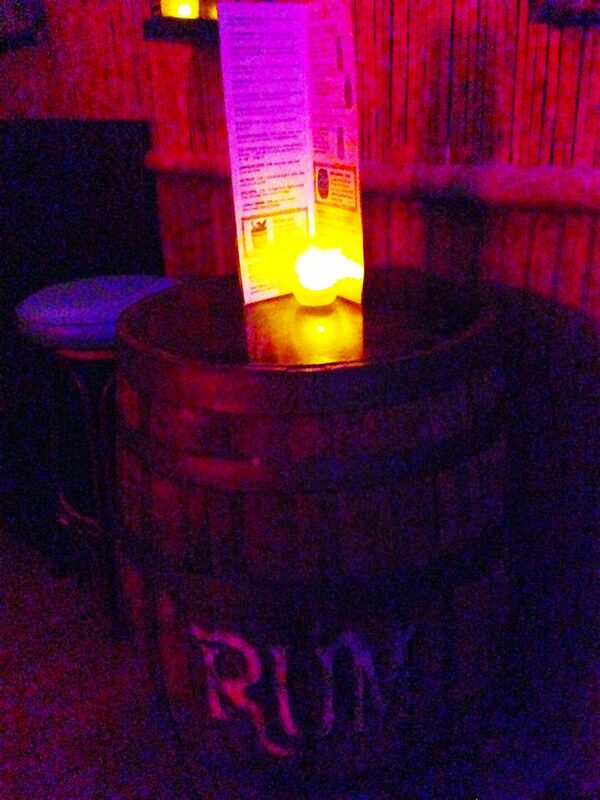 The bar’s name pays homage to trader Vic’s, that most prolific chain of tikibar. The bar is every bit as themed as any Disney bar or restaurant. Which means it’s every bit as themed as any other tikibar, if not more. Because there are heavy show elements at play. Flickering lights. Moving paintings. Bubbles that pop from the ceiling. And an octopus arm that moves. All synchronized and triggered to the order of your drink. Serving different drinks triggers different effects. The barkeeps accentuate the shtick. They’re a part of the play, and in on the fun. In very much the way the Jungle Cruise skippers are always at play. And quite in fact, your tenders call themselves skippers. Skippers, bubbles, animated paintings, and synchronized light to audio Foundation has not. Nor does it need to. Because being a tikibar in a world full of everything else breathes life in its own right. And that I can find this home away from home in my hometown Milwaukee forms both a comfort and a point of pride. What makes a place like this feel so homely to me? On the one hand, you could say that it’s because it’s a tikibar, a member of that special subculture. It’s a comfort not unlike a punk in a basement at an all-ages show. It’s about being present and belonging within a certain subculture. On the other hand, you could say that it’s not about being in this specific subculture, the tikibar culture, but about being in any subculture. And specifically, one that heavily acknowledges its own cultural roots and re-appropriations. All cultures appropriate. But this one does so in a very conscious way. 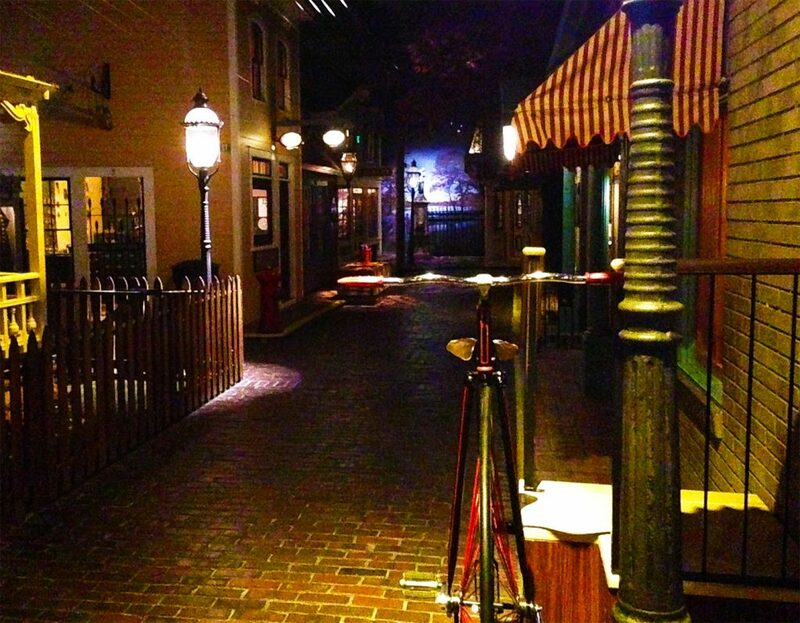 This is what we call theming. And it is within the theming that I feel at home. Fishtank. Carved totem. Lighting. The sculpting of environment and space. In a cultural re-appropriation. I suppose I feel a similar sense wherever I find laundry. Give me a washer and dryer, and somehow I’m at home. There’s no theme here. Just repetition. A moment in the week that repeats the ones before. And each rotation of the tumbler that moves in each minute same as the minute proceeds it. I have known home before. And I will know it once more. This is what the wash tells me. And I know it to be true. Because if nothing else – wherever I choose to do my wash, I’ve found home. If only for that moment. And then I move on.